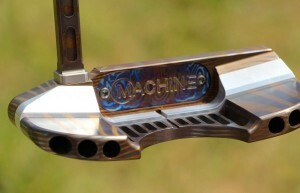 You voted, and Machine Golf’s Delta Prototype won the GolfWRX Custom Putter challenge. We recently spoke with Dave Billings, President/CEO of Dogleg Right and Machine Golf, and master craftsmen of the winning putter, to learn more about what went into creating the masterpiece, what keeps him motivated to keep innovating, his thoughts on counterbalanced putters and the big news of what’s next for Machine Golf and Dogleg Right. MACHINE M1A Putter wins 2nd place in MyGolfSpy’s 2013 Golf’s Most Wanted Blade Putter!